Last month, Stacey emailed me and told me she wanted to learn cupcakes, muffins, brownies and chocolate. I thought that was rather ambitious to achieve in a day! 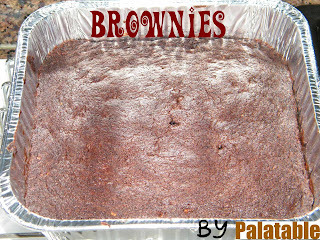 After much discussion, her friend and her decided to sign up for my chocolate valentine's workshop and a customised workshop-Brownies & Muffins. They attended my chocolate valentine's workshop last week, and today, they are back again for their second workshop. They felt more comfortable after last week's session. The ladies had fun weighing and creaming their batters. The tasks today seemed less difficult, and more achievable for them even though we didn't use any mixers! I helped to train their biceps! 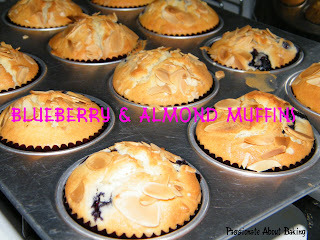 I also baked some blueberry & almond muffins for their refreshment. These were what they brought home with them after the workshop. 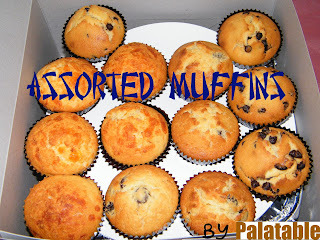 Assorted Muffins- Chocolate chips, Cheese and Orange.